If you produce a large quantity of digital content, developing fresh material can present a challenge. Repurposing content is a way for you to develop content from works you have already published. This method allows you to expand your reach; using repurposing strategies with your evergreen topics helps you get the most value out of your digital assets. However, there are techniques that you should, and should not, practice. Below is a short guide on repurposing with a few tips, tricks, do’s and don’ts. Enjoy and happy recycling! When a publisher repurposes content, they use existing material in a new format. This technique is excellent for digital publishers who produce large content volumes or are struggling to create new material. Recycling previous content is a great way to deliver a consistent message to your audience, while continuing to build your readership. It also helps to ease the effort required to produce new content. Any relevant content you have produced in the past is a candidate for this cost-effective technique. Because many readers consume content on mobile devices, you can repurpose larger online articles into smaller chunks. This will allow you to build multiple digital assets from one piece, further reducing the effort required to develop new content. To repurpose content, you can change a blog post to a podcast; break a podcast up into Facebook posts; or use article statistics for an infographic. The ways you can repurpose content are only limited by your imagination. Repurposing is a powerful strategy for several reasons – it’s not just the go-to when you run out of time to get the next post up. Different people prefer different content formats. You can use repurposing to reach a new audience with the same information. It can also allow you to touch on a favorite topic of interest that you have not written about for some time. This technique allows you to present your information to an audience who may have missed out on an earlier post. Finally, repurposing maximizes the effort you put into developing content; with repurposing, the intense research — or insight — you used to create a piece can pay off multiple times. It’s important to make sure your repurposed content is evergreen. Evergreen content is information that is relevant now and will stay relevant in the future. As a rule of thumb, ask yourself if your information will benefit your readers ten years, or even 20 years, from now. The idea behind evergreen content is that it will still draw traffic, and in turn conversions, long after publication. Writing about events that have taken place already is always a safe choice for evergreen content, because those facts will never change; however, you must gauge whether this information will offer a valuable lesson to your readers for years to come. Creating evergreen content will create enhanced value for all digital assets that your organization develops. There are practices you should refrain from when repurposing content. Do not repurpose outdated content. The time you save will cost you dearly in subscribers. Acknowledge that you are revisiting an old topic, possibly even creating a backlink to the original piece. Never republish an old piece without rewriting it from a fresh, new angle. Plagiarizing your own work is a definite publishing faux pas that your readership will pick up on immediately. Use repurposing wisely. It should complement the new content you develop, not become your only content development strategy. 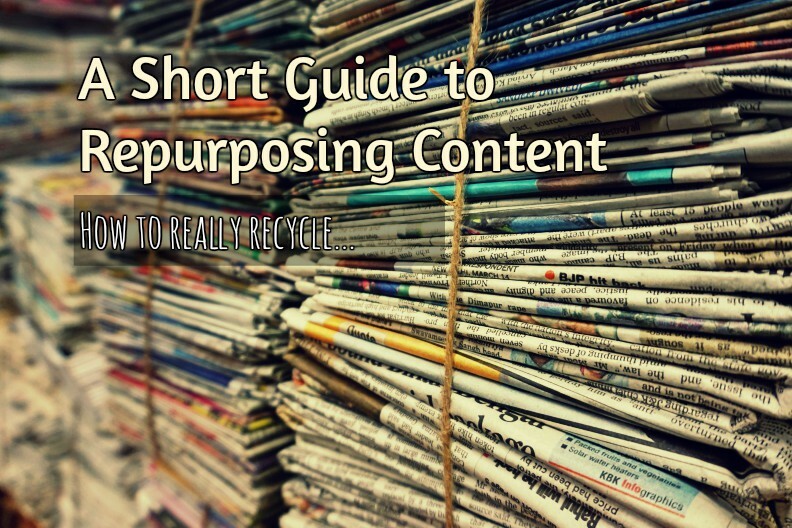 There are some standard practices you should follow when repurposing content. Share your older evergreen content, and tailor your content for your current audience. Consider the platform and format you are going to use to publish your content. Repurpose your content in different ways. It is easy to get stuck converting one form of content in the same way repeatedly. This is a recipe for causing your most loyal followers to lose interest in your content and your organization. Repurposing helps ease the workload it takes to create content. Instead of coming up with an entirely new concept, you can look at a previous topic from a new angle. It’s a great way to revisit important topics that warrant a refresher for your audience or a review from a new perspective. Evergreen content that you have repurposed is a powerful combination that will produce desired results for an extended time period. Just be careful not to use repurposed material often. Make sure to have a healthy mix of fresh content as well!